I just updated the .htaccess tutorial and am revamping the robots.txt tutorial, both in Level 2. Both of these root host files are at the core of your site security and performance. And I continue to clarify tutorials in the HTTPS course that teaches folks how to convert sites to HTTPS. My goal for 2017 is to generate more traffic for BlogAid because I think I’m the best kept secret on the planet for site owners who are serious about their success. So, I’m trying to do something about that by holding more webinars to help more folks find me and my programs and services. I hope you’ll come to them and help me spread the word on those when they pop up because you know they’ll be a firehouse of useful info too, unlike most webinars that are all hype and just straight sales pitches. Statistics from w3techs suggest that 1 out of 4 websites (around 25%) on the internet are powered by WordPress. WordPress’ popularity is derived from its ease of setup and use, its contributing community, and the big repertoire of plugins and themes that are available. No one today likes to ‘Wait’. It is becoming tough for slow websites to stand out and engage with their users. As mentioned on kissmetrics blog, one-second delay in page response can result in a 7% reduction in conversions. Forty percent of people abandon a website that takes more than 3 seconds to load. If you are running a website, you have very little time to show the content and convince a user to stay on your website. If you’ve used WordPress for a while, you know keeping regular backups can save you from losing your website (you know, the site you’ve put all that time and effort – literally hours – into building). But have you tested your WordPress backups to see if they actually work? Sometimes, backups could be missing files or become corrupted. It may not be a common occurrence, but can you afford to take that risk the next time you need to restore your site? Since the rise of Twitter, every WordCamp has a designated hashtag for aggregating tweets about the event. Tweets using the hashtag are often a good measure of attendees’ excitement and connection to the speakers and activities. 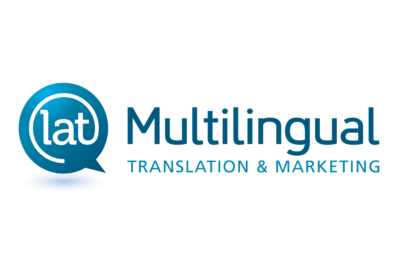 The LAT Multilingual team of translators from around the world specializes in adapting and crafting clients’ marketing messages for other languages. They understand marketing, the linguistic communities they live in and the industries they work in, and are able to provide translations customized to the market needs of their clients.